When you used the Google Sites Template to create your new website you copied the version as it was on that day. Any changes (improvements) made to the template (after that time) will not be included in your new website. 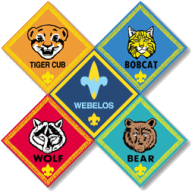 Occassionally you should click the "Cub Scout Template" link in the footer of your website and check the Template Change Log page for changes or improvements. You might find something you would like to add to your website or find a bug fix. This is one reason why I request that you leave the link to the template in your footer. If you made improvements to your website that others might find useful, please send a link to your page to pack000.template@gmail.com and I will consider adding it to the current version of the Template and update this page to reflect the improvement.